A script by Rhett Reese and Paul Wernick (the pair behind Zombieland) has been in development for over a year and the project has previously been rumored to pique the interests of talent like Robert Rodriguez. The film will feature the mercenary Deadpool, who originally appeared on-screen in X-Men Origins: Wolverine as played by Ryan Reynolds. Reynolds will produce and is attached to star. 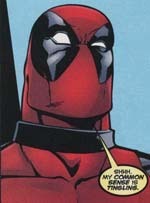 Created by Rob Liefeld, Deadpool is famous for his offbeat sense of humor and for breaking the fourth wall, openly speaking with his audience. The script is rumored to take that same approach and would likely be a significant departure from the way the character was previously portrayed on-screen.